Are You Looking to Buy $25,000 Life Insurance with No Health Questions Asked? If so, you’ve come to the right place. Today, it’s quicker and easier than ever before to get the life insurance you need, without having to answer any questions about your health. Guaranteed approval life insurance offers the coverage you need at an affordable price, and you don’t have to take any doctor exam, or answer any health questions. Whether you need $25,000 of insurance to leave money to your beneficiaries, to pay off your debts, or you need to provide funds to cover the cost of your medical bills, or final expenses including your funeral and burial, or cremation cost, you can get the life insurance you need. You may choose from $3,000 up to $25,000 of life insurance with guaranteed approval. Help protect your family with affordable life insurance to cover the financial responsibilities of your final expenses, such as medical bills, burial and funeral costs. It’s easy to get fast coverage and guaranteed approval for up to $25,000 or more of life insurance. In fact, you can get your free quote and apply for a policy today. Yes, you can purchase $25,000 of life insurance without having to answer any questions about the condition of your health. There’s no questions about your past health history, or your current health. Guaranteed issue life insurance policies offer you a way to purchase your coverage without any questions asked. If you’re looking for a $25,000 term life insurance policy, you may be surprised that there are limited choices. Many life insurance companies have minimum coverage amounts of $50,000 or $100,000. However, some insurance companies offering smaller policies with $25,000 or less of coverage may offer you coverage with no exam required and no health questions asked. There’s even one insurer that offers up to $25,000 of guaranteed issue life insurance protection and people age 45 up to 85 can get insured, regardless of your health. How Can $25,000 of Insurance Benefit You? Funeral Expenses – The cost of a funeral today is averaging around $7,700 (or more) when you add up the burial casket, burial plot, flowers, headstone, memorial service, etc. Survivors – If you have a family member or spouse that you support you may want to have life insurance to protect them. Debt – If you have a lot of debts like medical bills, credit cards, a car loan, or a house payment, you may want to protect your loved ones from possible financial difficulties. What Does Guaranteed Approval Mean? It means you cannot be denied coverage due to any health issue you already have. And, once you begin your insurance your premium will never go up, and the amount of life insurance provided by your policy will never go down. Even if you develop a health problem after you start your life insurance plan, the insurance company cannot cancel your coverage due to a change in your health. Only you can cancel the policy by contacting the insurer and requesting cancellation of your policy, or you may choose to stop paying your premiums. Guaranteed life insurance is a form of permanent life insurance coverage with premiums that remain level for your entire lifetime. The death benefit provided by your policy is a "Graded Benefit" which means you won’t have 100% coverage until after you have been insured for two years. How Do I Qualify for a Policy? Unlike a traditional life insurance policy, there is no physical exam needed and no health questions asked. You simply fill out an application for coverage and choose your beneficiary who will receive the proceeds from your insurance policy. What Does It Cost to Buy a Life Insurance Plan with $25,000 of Coverage? The price depends on your current age, gender, and the insurance company. 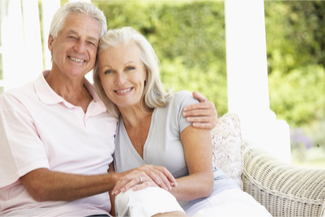 If you have any health issues, then a guaranteed policy may be your best option. You can get a free quote today to find out how affordable it can be to get the insurance you need. Which Insurers offer $25,000 of Life Insurance with No Health Questions Asked? Some of the leading providers of small life insurance policies include United of Omaha, Colonial Penn, and Gerber, among others. United of Omaha offers some of the most competitive pricing available for non-smokers and smokers when compared to the other leading carriers listed above. Will My Insurance Premiums Ever Increase? No. Once you purchase your life insurance policy, your premiums will never increase, even if you develop a health problem. Will The Amount of Life Insurance Ever Decrease? No, the insurance company will never decrease your coverage amount, unless you decide to do so, and request the insurer decrease the amount of life insurance provided by your policy. Some people do this because their needs change over time and they don’t have a need for as much life insurance, or they lower the amount of coverage to lower the premiums they pay for their policy. Always remember to consider the money-back guarantee. For example, United of Omaha offers a 60 day money-back guarantee on their guaranteed issue life insurance policies. It means you have absolutely no risk. If you decide you don’t want your policy for any reason, you can cancel your coverage within the first 60 days of buying your policy and get a 100% full refund, all of your premiums paid will be returned to you, no questions asked.